History tells us that although there were a few earlier canals, the Duke of Bridgewater's canal from his mines at Worsley to Manchester, engineered by perhaps the greatest of canal engineers, James Brindley, was the beginning of the canal age. This cut was completed in 1761, and the canal age lasted until 1838 when the London to Birmingham railway was opened bringing along stiff railway competition to the waterways network. During the intervening years, over 300 Acts of Parliament were passed authorising the building of a variety of canals throughout the United Kingdom. Brindley became involved in many of these projects and he dreamed of constructing a 'grand cross' of canals connecting England's four major rivers, the Severn, Trent, Mersey and Thames. This finally came about but not until many years after his death. 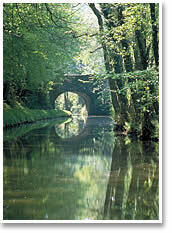 Among the great canal engineers alongside James Brindley were William Jessop and Thomas Telford. He had a share in Golden Hill colliery and was a partner of his brother John in the Longport Pottery. 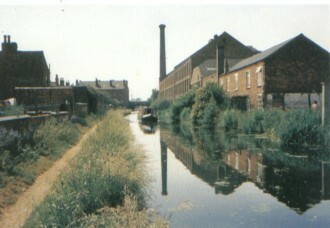 His brother John brought land in the vicinity of the proposed canal at advantageous terms and in 1773 (before the canal was opened) built two factories at Longport. James Brindley married Anne Henshall on 8 December 1765 at Wolstanton church, and had two daughters, Susannah and Anne. He also had a natural son, John Bennett (1760-99), from whom Arnold Bennett the novelist descended. In all, he was responsible for a network of canals totaling about 360 miles (580 km). The improvement in communications helped to hasten the Industrial Revolution. Brindley, a self-made engineer, undertook all his works without written calculations or drawings, leaving no records except the works themselves. to the town of Wendover. and people on its banks. to whom massive thanks go out.